I’m very excited about the Aviva Women’s Tour, starting in a fortnight, because it’s still SO amazing to me that the best riders in the world get to race on British soil. But it also reminds me of all the great fan interaction I’ve seen at the previous two races, and especially seeing kids and adult fans in team kit having great interactions with the riders and teams from those kits – especially the teen girl who ended up riding with Marianne Vos, after Vos saw her in the Wiggle Honda kit! So, in case you’ve always wondered where you can get women’s cycling pro team kit, here’s Part 1, kits from the teams that get automatic invites to the Women’s WorldTour day races – I’ll be back with UK teams and USA teams soon. And if a team’s not here, it’s because I can’t find their jersey for sale, so if you see it somewhere, please do let me know, so I can edit it in… And if you want to see more of the team kits, I’ve got links in the 2016 WorldTour kit vote post. Before we start with the teams, though, the Aviva Women’s Tour has a shop, where you can buy the race yellow jersey and Queen of the Mountains jersey, and all kinds of racewear from hoodies in black and blue to T-shirts. Wear your heart on your sleeve! Alé is a cycling clothing brand, and the team kit is a version of the Bubbles design, which is available without team branding for women and men – not in short sleeve right now, but it’s for sale in the women’s winter jersey and jacket, and men’s winter jersey and jacket. You can also buy the 2014 team kit in women’s sizes. To stream the Ashleigh-est interview we’ve ever done, click here. Or subscribe and never miss an episode, it’s FREE! Sign up via the iTunes store here OR via our RSS feed here. You can read more about Ash on her excellent blog , where there are so many great posts – head in and have a look. She’s got a fantastic twitter, too, and you can also follow her adventures through the Hitec Products website and twitter. and here’s Sarah’s interview with Ash after Flèche, on Podium Café. And Road & Mud has a history of the Basque races, in Spanish or via google. And if you didn’t see if last year, or want to be reminded of it, check out Saul’s article on being at the race, right here on the Café! On Saturday Sunday 12th May, it’s the fifth round of the UCI Road World Cup, the Tour of ChongMing Islandin China. This is a race on the long, wide, flat roads of ChongMing Island in the Yangtze river, connected to Shanghai by the beautiful bridge and tunnel, and the race uses both. It’s very definitely a race for the sprinters. The “mountains” point comes when they ride up the ramp onto the bridge, and the roads have meant while riders have dropped off the back, and there can be echelon-ing, it ends up in a bunch sprint. It is usually very rainy, though, and the wind can make it a very tough race indeed – certainly no easy ride, this one! I was so incredibly lucky to spend the 2013 women’s Flèche Wallonne with the fantastic Hitec Products UCK. I’ve got some stories and galleries of photos about my adventures on Podium Café – part 1 is all about the race preparations, and part 2 is about seeing the race from the team car, and the post-race experience. You can also see more of my photos on flickr, and listen to Dan and me talk about it on our podcast. For other people’s views of the race, Jane Aubrey reported on it for Cyclingnews and CJ Farquharson has a race report and photos on her womenscycling.net, and more photos on CJFoto and on Cyclingnews. There are team reports from ORICA-AIS, Argos-Shimano, a blog by Loren Rowney on the Specialized-lululemon site, a blog by Ashleigh Moolman on her first World Cup podium, and a blog about his first time at a women’s pro race from the head of Wiggle, Humphrey Cobbold. And of course, there are videos – here are all the ones I’ve found so far. I’ll be posting interviews with Hitec riders next week – keep an eye out on the Podium Café women’s section. Massive, huge, enormous thanks to Karl Lima, Hitec’s manager, for organising such an amazing time – I loved every moment, and appreciate it totally! Edit! 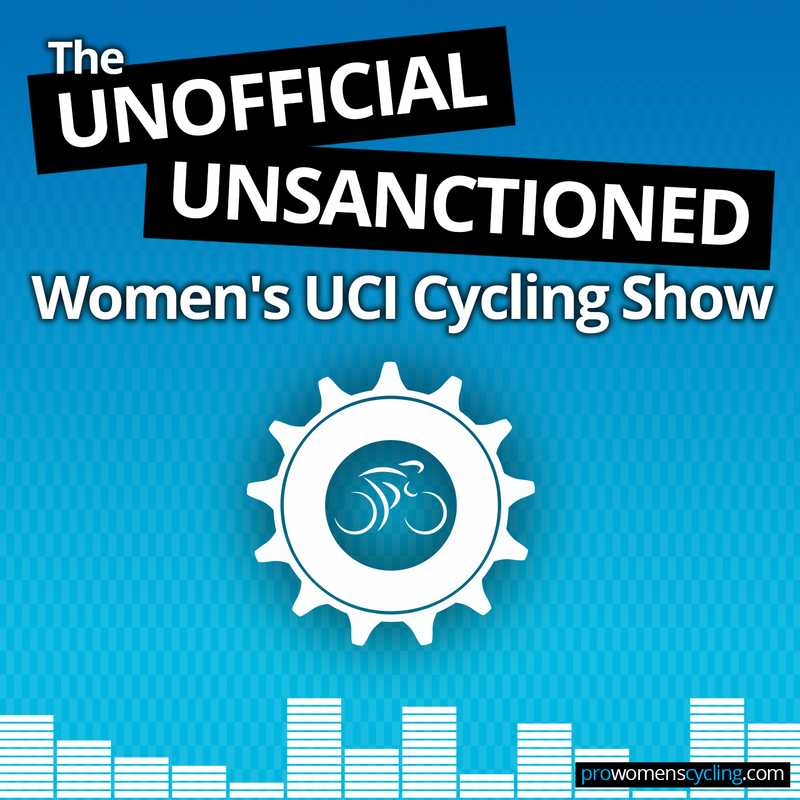 Here are the first interviews – with Hitec’s Elisa Longo Borghini and Lotto-Belisol‘s Ashleigh Moolman, after the podium results – on Podium Café here. And here’s my interview with Rachel Neylan, on the race, and triumphing over adversity to win silver at Worlds. You can stream the podcast by clicking this link. Or you can subscribe for FREE via iTunes over here.